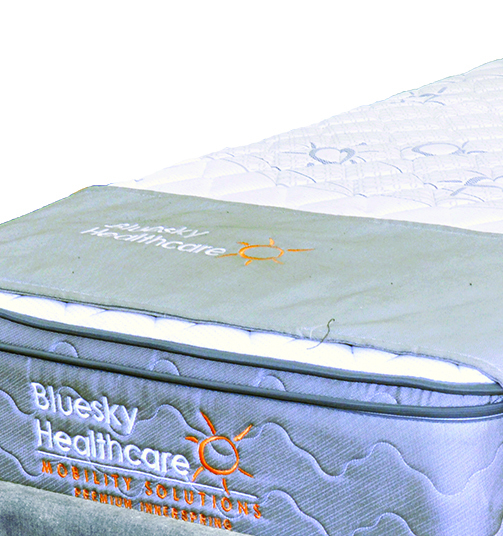 Bluesky Healthcare’s electrically adjustable beds are engineered to provide comfort and relief. 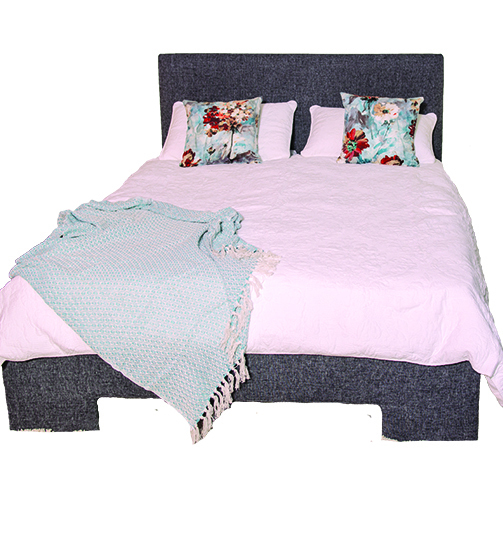 Our extensive range of beds combines the look and feel of a stylish ensemble with all the health benefits and convenience of an adjustable bed. Our Beds and Mattresses are made to order here in Western Australia and come with a standard five-year peace of mind warranty. Our high carbon steel frame beds are made-to-order on site at our Osborne Park premises. We can accommodate all standard bed sizes and also manufacture our beds to fit into any bed frame with the choice of head lift, leg lift, hi-lo, and massage, all of which are controlled by an individual motor for each of the functions. The motors are fully sealed to prevent dust clogging the mechanism and are protected by a thermal overload switch for your safety. All beds come with your choice of innerspring, 100% latex or pressure care mattresses to suit your preferences. Get the best sleep you've had in years and you may even enjoy some of the below health benefits. Please note that these are benefits that have been experienced by some people. However, we do not claim that an adjustable bed will cure your health conditions. Sleeping on an adjustable bed will allow you to adjust the Bed to a position that is more natural to the contours of your body. 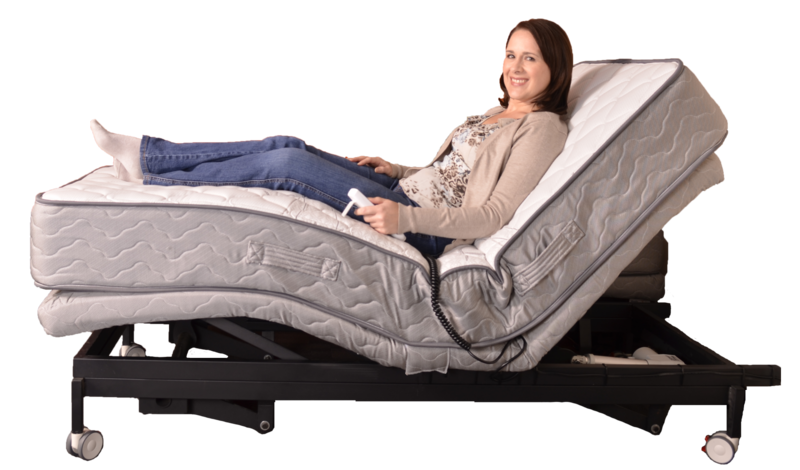 Lifting the head rest of your electric bed will add support to the base of your spine and help to keep the spine aligned and prevent conditions such as sciatica. Having the additional support of your spine, you may also find that it will help with the pain often caused by sciatica and even help release trapped nerves. At the same time having your headrest slightly raised will assist in minimising compression of your back during the night, which is caused by excess pressure. This way you will wake up with a less vulnerable spine and be less prone to injury. A third benefit from having you head raised is one of comfort and aches. It minimises the need for pillows. This way you can choose one pillow that you are comfortable with, and that offers the right support to your neck. Preventing you to wake up due to discomforts caused by pillows beeing moved out of place during the night. Allowing you to get enough rest to wake up refreshed and ready for what the day will hold. Snoring is not only disturbing for any cosleepers but can also be an indication that you may suffer from a serious health condition known as sleep apnea. Sleep Apnea is a common disorder; it means that you wither stop breathing or have one or more shallow breaths when asleep. There are many different types of sleep apnea, but breathing pauses can last from a few seconds to minutes and may occur more than 30 times an hour. Often the sleeper is awoken when they stop breathing, causing a less than restful sleep and is also associated with chronic fatigue and cardiovascular disease. While there is no known cure for sleep apnea, it is important to treat it effectively. Treatment varies based on the form of sleep apnea that is suffered. Research suggests that by elevating the head above the feet reduces the weight of your neck that, which can cause the windpipe to close over and making a snoring noise as it passes through. 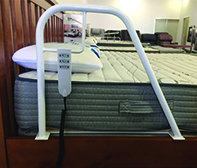 Propping yourself upright slightly with adjustable beds, it is possible to alter the direction of the gravity so that it does not obstruct your windpipe. From there you can then reduce the sound of snoring and improve the quality of your sleep. It is recommended to eat at least 3 hours before going to sleep as your body's metabolism slows down significantly while beeing asleep.Being slightly upright is also highly beneficial for your digestion as it helps your body to process food during the night. 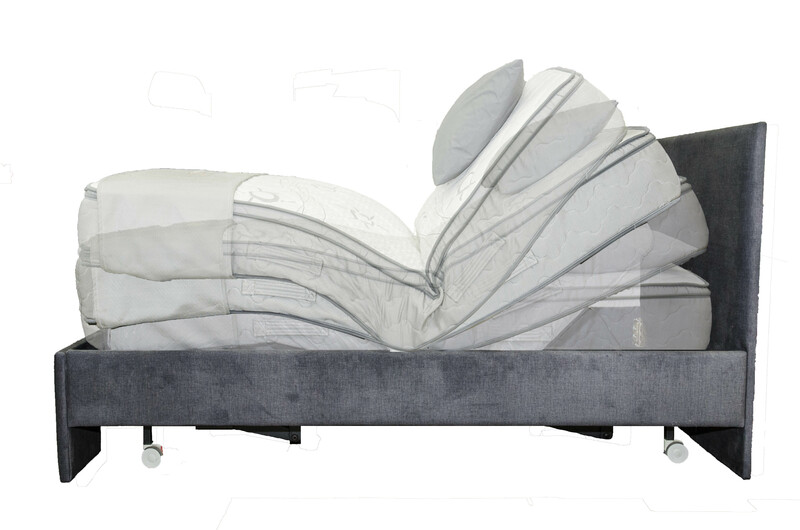 It is not advisable to go to sleep on too full a stomach at any point, but if you have eaten within the last few hours then addressing your position can be helpful and by using adjustable beds you can position yourself at the recommended 6 inches and this will help to encourage healthy digestion. Have you sprained or pulled a limb in the past? If so you would have been told to keep it elevated whenever possible to prevent the pain, increase blood flow hence minimise swelling. While propping a pillow under your limb works fine if you are awake. You may find that it will prevent you from getting comfortable for sleep and once you fall asleep you may be woken by you limb rolling off the pillow causing pain or even further injury. An Adjustable Bed can easily fix this by using the log lift function of the bed to a comfortable angle. Now you can close your eyes, relax and know that you are helping your body to heal itself while you are sleeping. However, you do not need to have an injury or health condition to enjoy having your feet elevated. I'm sure that anyone who has had a job working on their feet can very much agree that there are few things more rewarding than to be able to literally put up your feet after long days work.